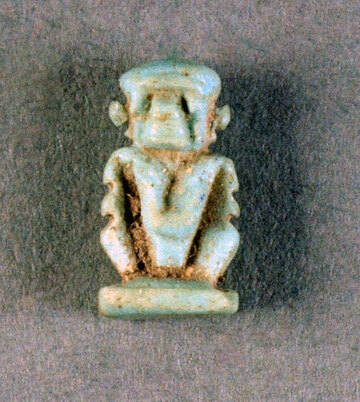 MG 139/022, Olmec, a figure, possibly of a monkey, turquoise. The Olmec were the first major civilization in Mexico following a progressive development in Soconusco, a region in the tropical lowlands of Mexico, in the present-day states of Veracruz and Tabasco. The Hunt Museum’s collection is the accumulation of works of art and antiquities formed by John and Gertrude Hunt during their lifetimes. 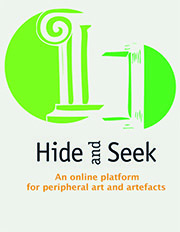 The Hunt Museum collection is made up of a strange and wonderful mixture of art, artefacts, paintings and prints, often times kept by The Hunt family because they loved them and reflected the family’s interests and curiosity rather than an object’s monetary value. This Turquoise figure was one of many objects the Hunts once kept in a bowl of toys, to be played with by the Hunt’s children John and Trudy. Today many of the objects are in very crowded cases in the museum and so miniature treasures, such as this monkey, are easy to miss. We love this project because the idea of drawing attention to the ‘shy’ objects in the collection and it is a great way to highlight this beautifully crafted and intricate turquoise monkey. The figure is especially interesting because some people see it as a turquoise monkey while others see a male figure or even a dog. These interpretations leave open the object to the imagination of those who view it.